New fatwa (Muslim religious decree) in Britain calls IS "an oppressive and tyrannical group". 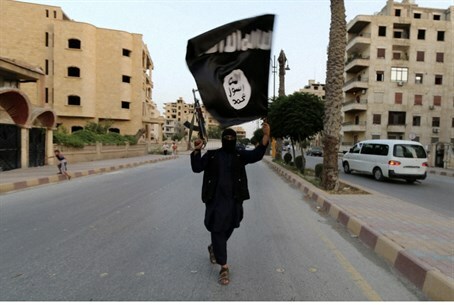 Several senior British Muslim clerics have added their support to a fatwa (Muslim religious decree) against the Islamic State (IS, formerly ISIS) terrorist group, ITV News reported on Sunday. The fatwa calls IS "an oppressive and tyrannical group" and forbids British Muslims from joining. Part of the fatwa, published in the Sunday Times, reads, "IS is a heretical, extremist organization and it is religiously prohibited to support or join it; furthermore, it is an obligation on British Muslims to actively oppose its poisonous ideology, especially when this is promoted within Britain." The decree was written by Sheikh Dr Usama Hasan, a former imam in east London and now head theologian at the anti-extremist Quilliam Foundation, according to ITV News. IS declared an Islamic caliphate in areas of Iraq and Syria it captured, and proclaimed its leader Abu Bakr al-Baghdadi as "Caliph" - the head of the state. That caliphate, however, has not been accepted even by radical clerics. Radical Islamic cleric Abu Qatada, who is being tried on terror charges in Jordan, denounced the IS caliphate as void. "This group does not have the authority to rule all Muslims and their declaration applies to no-one but themselves," said Abu Qatada. Sheikh Yusuf al-Qaradawi, the radical Muslim cleric who serves as president of the International Union of Muslim Scholars, has also come out sharply against the IS. Qaradawi, who is also the spiritual guide of the Muslim Brotherhood and Hamas, said the caliphate founded by IS not legitimate. Another part of the British Muslim fatwa, the part which forbids British Muslims from joining IS, highlights the concerns among Western countries that locals will leave their countries to fight in Iraq and Syria, then bring terrorism back to their home countries. Last week, Britain raised its terrorism alert to the second-highest level, with Prime Minister David Cameron saying that IS posed the country's greatest ever security risk.